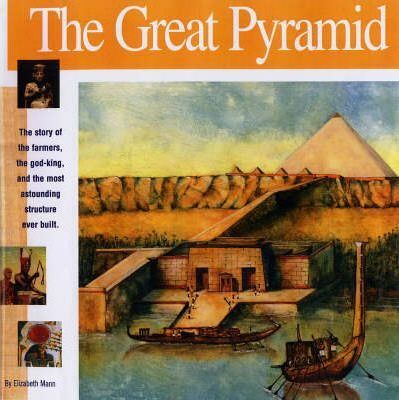 Here's the story of the Great Pyramid and the people who built it. In the author's telling, the Old Kingdom comes alive: a nation of farmers living on the green edge of a harsh desert with a king who was a god in life and in death. Tens of thousands of farmers left home each year to chisel hard stone without iron tools and move 10-ton blocks up steep grades without the use of a wheel, all to the glory of the Pharaoh. The winner of numerous awards, this series is renowned for Elizabeth Mann's ability to convey adventure and excitement while revealing technical information in engaging and easily understood language. The illustrations are lavishly realistic and accurate in detail but do not ignore the human element. Outstanding in the genre, these books are sure to bring even the most indifferent young reader into the worlds of history, geography, and architecture. "One of the ten best non-fiction series for young readers." Elizabeth Mann has written nine Wonders of the World books, an award-winning series. She is former teacher in New York, holds an M.S.E. and is cofounder of Mikaya Press. Laura Lo Turco works from her studio in Brooklyn, New York. The Great Pyramid was her third book.